Use CCWater’s water meter calculator to see if switching from unmeasured charges to a water meter could save you money. If there are more bedrooms in your home than occupants it is certainly worth checking – in some cases making the switch can save customers in excess of £100 a year. Replace worn washers on leaky taps. A dripping hot water tap wastes both water and energy and over a year could unnecessarily add over £18 to your annual water bill if on a meter. For every minute less you spend in the shower you could save between £5 and £10 off your energy bills over the year. As part of the national Save Water Save Money campaign, you can order free water-saving devices online to help you save both water and money. 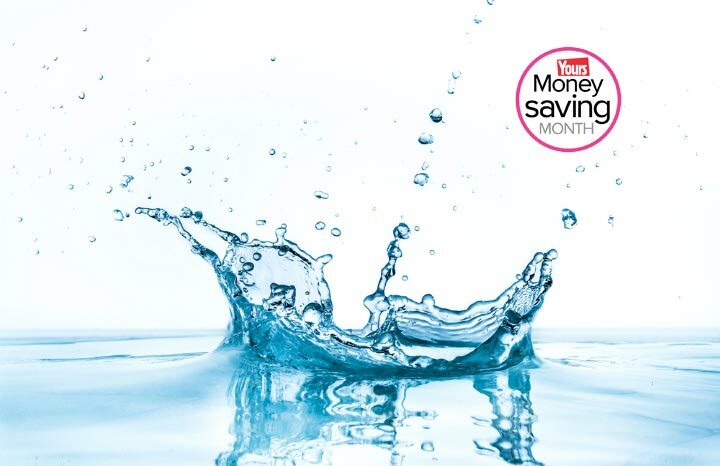 Visit www.savewatersavemoney.co.uk to order your free water-saving box - freebies vary depending on your water supplier but include eco shower heads, shower timers, tap inserts, and more. 5. Boil enough for a cuppa! When boiling the kettle only fill it with as much water as is necessary. Two thirds of us boil more water than we need. An average bath uses 80 litres of water so choosing one with a smaller capacity and lower flow taps when renovating your bathroom could save water and money. Make sure that the dishwasher or washing machine is full before turning it on, and avoid using the half load setting. Half-load cycles use much more than half the energy and water of a full load. Insulate the hot water cistern to avoid wasting energy to keep it hot. A securely fitted jacket could save about £30 a year. Dame Yve Buckland of the Consumer Council for Water, said: "Small changes really can make all the difference, especially for the one in five customers who tell us their water bill is not affordable. "By taking the time to read and apply our top tips consumers will find there are many ways to save water, energy and money with the added benefit of helping the environment." There’s more money-saving advice in every issue of Yours magazine, out every fortnight on a Tuesday.